North by Northside: Who Would Benefit from Relaxed Citywide Multi-Family Zoning? Who Would Benefit from Relaxed Citywide Multi-Family Zoning? Vacant land, multi-family, and single-family homes. These parcels are likely already zoned for multi-family housing, but there are plenty of vacant lots around me that would benefit from the addition of 3-4 unit properties. "Well, the cat's out of the bag," said Council Member Lisa Bender regarding a proposal to relax zoning requirements practically citywide. The change could result in there being virtually no barriers - from a zoning perspective - to building a four-unit house throughout much of the city. To be honest, the prospective change excites me more than just about anything I've seen from our new council. But it is replete with possibilities to further exacerbate some of Minneapolis' worst problems even while it addresses rental housing shortages. CM's Johnson and Gordon raised some of their own concerns, namely that the new ordinance could result in starter homes being priced out certain markets as the land beneath the home becomes worth enough for investors to purchase, demolish, and build anew. While this would add a net gain of housing units, it would come at the expense of first-time buyers and would not be the ideal way to roll out such a change. I share those concerns, and worry that otherwise viable housing will be demolished in favor of new construction of fourplexes. If that dynamic becomes widespread, then I also worry that we will have a housing change that prices more owners out of south and northeast Minneapolis while passing over the swaths of already-vacant land in north. And then let's talk about who benefits and how. Obviously renters benefit from having more options available to them at (hopefully) affordable rates for quality housing. The communities around the new units get the benefits - and let's be honest, the drawbacks such as they are - of increased density. And the largest beneficiaries would the the new owners of the four-unit housing expansion. I will be focusing on those two aspects of the proposal as this post proceeds - how to incorporate a zoning change in ways that minimize the demolition of viable homes and how to ensure that the largest windfalls that ownership provides are aimed at people and communities that have been historically marginalized. On her Twitter feed, Bender specifically framed the issue as central to racial justice - a connection I would have made as well. So let's run with that for a moment. Minnesota is home to some of the largest disparities between whites and minorities when it comes to home ownership, and that gap doesn't get any better when we narrow the ownership to investment or income-producing properties. And north Minneapolis has been devastated by decades of racist housing policies, redlining, predatory lending, slumlords, demolitions, and then a tornado to top it off. As a result, we have lost housing units and density, and now have more vacant land than any part of the city. There is no delicate way to put this: If north Minneapolis and its residents are not the primary beneficiaries of this zoning change, then it will be nothing more than a continuation of institutionalized racism. We can intentionally address that element while also alleviating tensions between the traditional camps of preservationists and proponents of greater housing density with a simple solution. Write it into the ordinance that the variance applies only to properties that have been vacant land prior to January 1, 2018. Proponents of density and supporters of expanding four-unit housing claim that this change will not result in the widespread, wholesale demolition of existing housing. 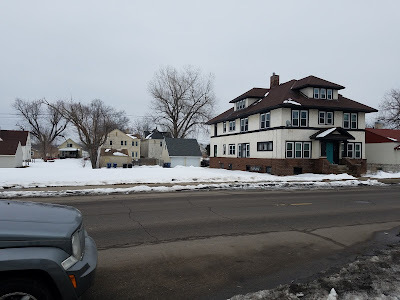 I disagree, as we are already seeing viable homes in southwest Minneapolis get purchased for the purpose of demolition and reconstruction of mini-mansions. It is nothing short of willful ignorance to assume that such a trend would magically not extend to properties that would produce revenue and have instant equity. But if we're so sure that this won't happen, then codifying the variance to existing vacant land will have little impact anyway. And if these concerns have merit, then setting this limit will reduce unnecessary demolitions and focus the growth where it is needed most. Likewise, if a house exists as a one- or two-unit structure, we should be careful about how we allow things to be "remuddled" into fourplexes. Most north Minneapolis residents can point to a home that was expanded to have more units than it was built for, and these properties are rarely well-kept. 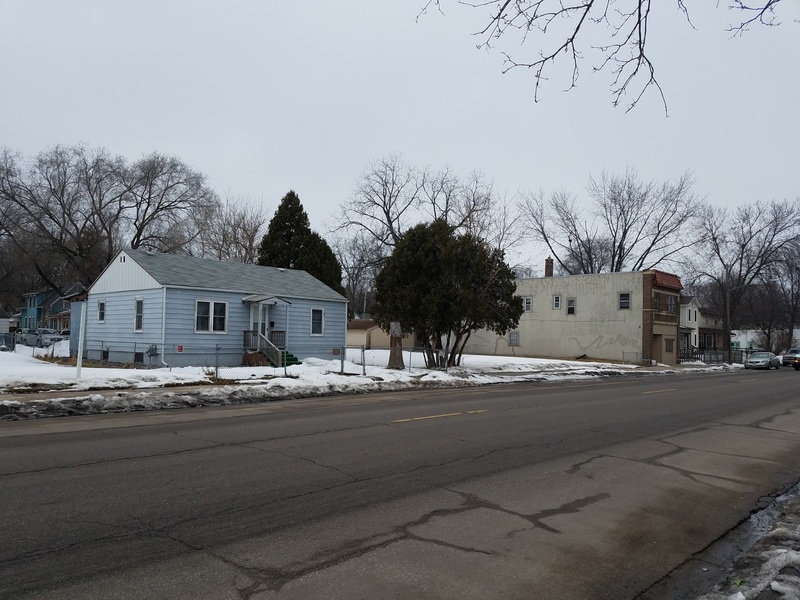 Limiting the change to existing vacant land only will mitigate some of the worst abuses and disparities that have plagued communities like north Minneapolis. Back to Johnson's and Gordon's concerns that a new crop of fourplexes could price people out of starter homes in their wards: I floated the question among some pro-density friends on Twitter and the response I got back was that there are no starter homes left anymore in those neighborhoods, so it doesn't matter. Now, if you believe THAT, then I have some very bad news for you. Contrary to what mommy and daddy told you, Fluffy didn't get to live and run around on a farm in outstate Minnesota when he got to be a really old doggy. Sometimes I really hate having to be the guy who is responsible for sharing facts that dispel certain myths, but such is my burden. I searched properties listed for sale in those wards, and it's true that the market for single-family homes, condos, and townhomes below $200,000 is very tight indeed. But in the zip codes that make up Gordon's and Johnson's wards, primarily 55413, 55414, 55417, and 55406, there are approximately fifteen single-family residences (including condos/townhomes) in livable conditions for sale at or under $200,000. I have considered a starter home to be something closer to $130-150,000 as the initial purchase price, but it's a nebulous term especially in a rising market. So instead of trying to define what is and is not a starter home, I'll break down how much income someone might need to buy a house on the lower end of the price range in those wards, and compare it to the entry costs to acquire a new fourplex, should those become commonplace. So that brings us to the question of who can afford entry-level home ownership and the ownership of the hypothetical fourplex. I'll be using interest rates and mortgage insurance pricing from the Minnesota Housing bond program, because that is a common product for first-time homebuyers and the rates are easily available for anyone who wants to review my calculations. I took the five lowest-price listings in the zip codes of Johnson's and Gordon's wards, and the median sales price for those properties was $191,000. That was for a one-bedroom condo though, and the next one up was a $200,000 single-family home, two bedrooms and two bathrooms. So that is our "starter home" for this exercise. At $200,000 with a 3% down payment, the loan is $194,000. MN Housing rates for conventional financing are at 5.25% with no additional closing costs - $1,070 in principal/interest. Taxes are about $225 per month here, and a decent insurance policy costs between $100-125 per month. Call it $115. With a 720 credit score, mortgage insurance could be about $95. So we're looking at a monthly payment of $1,505. Lenders want buyers to use 28% of their pre-tax, pre-deduction income towards their housing payment, but can go as high as 50% (or higher in some cases). I find many buyers either want or need to exceed that 28% level and are comfortable around 35%. So they would need an income of about $51,600 per year to get into homes on the lower end of the market in those wards. With down payment assistance available, many buyers who use this program do get in for as little as a thousand or two thousand of their own funds out of pocket. And let's be realistic here; many of these properties are coming in with multiple offers well above list price. It is NOT an easy market for first-time homebuyers at the low end of the price range. But the market does exist and construction of four-unit homes may not significantly alter those dynamics. Compare that to the fourplex market citywide. The sample size is rather small - twenty-two fourplexes were sold in Minneapolis in 2017 and some of those may have only been three units. The median sale price was $365,000. And although it's hard to project what a specific four-plex would sell for, new construction housing costs typically come in at $125,000 per unit. That's $500,000 as an entry level cost. Most Conventional financing options are going to require a 20% down payment on a four-unit structure, for a loan amount of $400,000. This doesn't quite fit into the MN Housing program, but we'll still use that rate for the time being. That's a principal/interest payment of $2,208. Hennepin County's base tax rate is 1.54% of the property value. 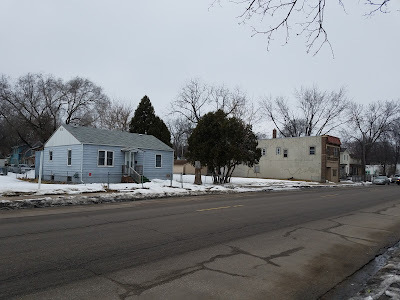 The initial tax burden will be that of a vacant lot, but we can assume the liability will eventually rise to something near or above that minimum, $7,700 per year or $642 per month. Let's ballpark insurance at $200 per month. We're at a monthly payment of $3,050 to cover a mortgage debt. Someone's going to need an annual income of $104,000 to keep that payment at 35% of their debt. Clearly, an owner-occupant is going to have three other units to generate that revenue. The rent for our currently imaginary fourplex is hard to peg down as it would vary depending on bedroom count, size, location, and quality/amenities of the housing stock, among other factors. But we're generally going to be in the $1,200-$1,400 per month range. For loan qualifying purposes, we can usually use 75% of the rents as actual income. There will be vacancies and repairs that tend to cost at least that much. So ($1,400 x 3) x 75% = $3,150 per month. That generates $37,800 per year in income, so our buyer who needs an income of $104k to qualify now has to have $66,200 in their own income to qualify. And they need $100,000 from their own funds or assistance. Most down payment assistance programs do not currently extend to four-unit homes. An FHA transaction could get someone in for as little as 3.5% of the purchase price - $17,500 is still not an easy feat but far more accessible than a hundred grand. But then the loan amount is higher and FHA loans have mortgage insurance. Using the same calculations as above, someone would need income around $88,000 plus the rent revenue to get this house under FHA financing. Council Member Jenkins is quoted in the Star Tribune article effusing over the benefits that she experienced having grown up in and around owner-occupied fourplex housing. But in our current housing market, simply opening the doors to more four-unit home construction does not fundamentally alter the difficulties of affordable ownership for these properties. If anything, a fourplex is even harder for either a first-time buyer or a low- to moderate-income buyer to attain. In fact, out of the twenty-two multi-family (3-4 unit) purchases that were recorded on the MLS last year, none of those properties is currently homesteaded with the county. In today's market, owner-occupied fourplex purchases simply are not a naturally occurring phenomenon. That's not to say this idea is without merit. But understanding the financial costs to ownership makes it clear that simple deregulation of the zoning laws will not lead to some imagined reduction in home ownership disparities and instead will result in already established developers reaping the benefits of owning these buildings. But there is a path to ownership that could do this, and it's called a land trust. The basic premise of how land trusts work is the land trust comes in with assistance administered by a specific entity. The Minneapolis City of Lakes Community Land Trust covers Minneapolis, although a separate one could be set up to handle these properties. For the sake of our example, we'll assume similar assistance levels as the CLCLT, which has about $30-40,000 right now per house, which could be combined with other assistance as well. Then the property is converted to leasehold. The owner owns only the structure and the land trust owns the land and leases it back on a renewable 99-year lease. There is a 75/25% equity split and the 75% stays with the property when it's sold, so that the new buyer still acquires it at an affordable level. A new 99-year lease is executed and the property stays affordable in perpetuity. Let's say it takes $500,000 to build a fourplex. $40,000 in down payment from the land trust and buyer's funds, and a $460,000 mortgage. Other assistance or the buyer's funds would cover the closing costs. Then let's say the new owner decides to build a garage because one didn't exist, and that costs $15,000. The owner keeps 100% of that value they added when they sell. And ten years into the deal, the owner has paid off $20,000 in principal. Then when he sells, the property has increased in value by $100,000. In that case, the seller keeps the $15,000 in improvements he made, the $20,000 in principal paid off, and $25,000 of the $100,000 in the equity. The new buyer has $75,000 in assistance on their home. In the meantime, the owner for the first ten years may not have gotten the wealth from the equity, but they did get to generate wealth from the rent. The land trust ground leases also require that the property have at least one unit owner-occupied at all times. Since such a project could bring new and inexperienced owners into the multi-family rental sphere, I would recommend some support services. Ongoing landlord training, tax services, and financial planning would help the new crop of owners prepare for success. People would be able to generate wealth through the rental income, but preserve affordable ownership for the next round of owners. No big time developer is going to reap that kind of benefit; even with a buyer who would owner-occupy, the gains from the equity would not go back to that party. And since the equity gains stay with the property in perpetuity, then there would be little initial incentive to tear down existing housing to get at the fourplex market. The only place this "works" so to speak is the lower-income communities where land is cheap. And having a huge influx of owner-occupied multi-family houses will do a lot to chase out the slumlord problem. Plus, we are seeing a push at the state level to create more land trust financing/funding options. Expanding the ability to build small-scale, multi-family housing citywide has tremendous potential to bring radically positive transformation to our housing market, if that expansion is rolled out with the political will and intention to do so. It also has the capacity to merely exacerbate the same housing disparities that have plagued our city for generations. Limiting the zoning changes to only vacant land and creating a land trust or similar system to assist and incentivize owner-occupancy will go a long way towards ensuring the benefits of such changes are realized by those who need it most.